Jordan fans never seem to get tired of the Air Jordan 11. 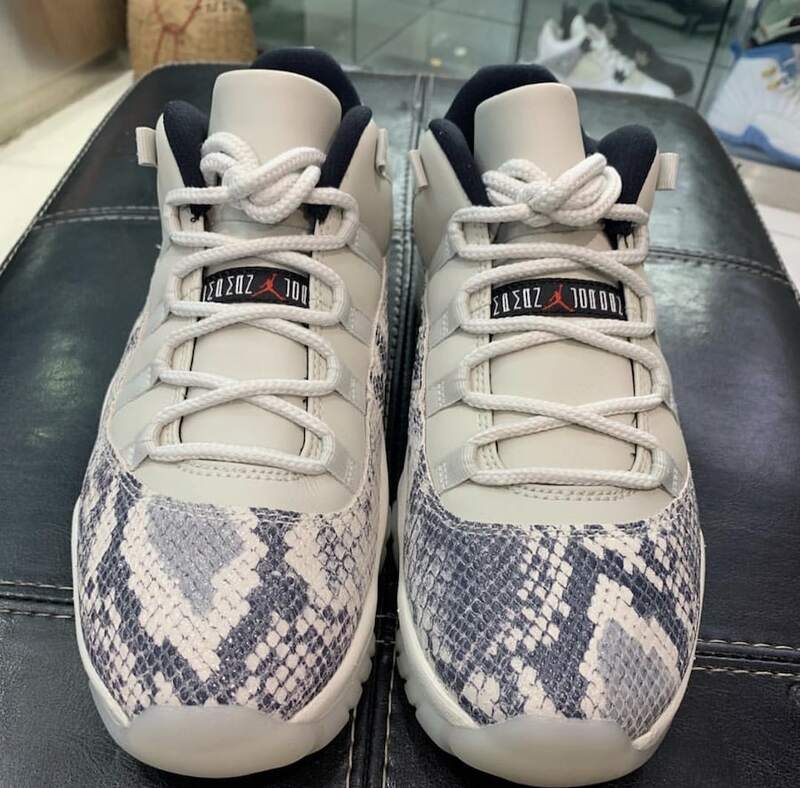 This month, the Low iteration has surfaced in a new “Snakeskin” colorway, rumored to be releasing later this Summer. The Air Jordan 11 has been a fan favorite Jordan silhouette since the shoe first released in 1996. Since then, the sleek look has released in dozens of different colorways across three different iterations of the 11, the High, the Low, and the Low SE. Some colorways are more important than others, maybe previously only offered as a player exclusive, or one of the Jordan 11’s rare tie-ins, like the Space Jam colorway. 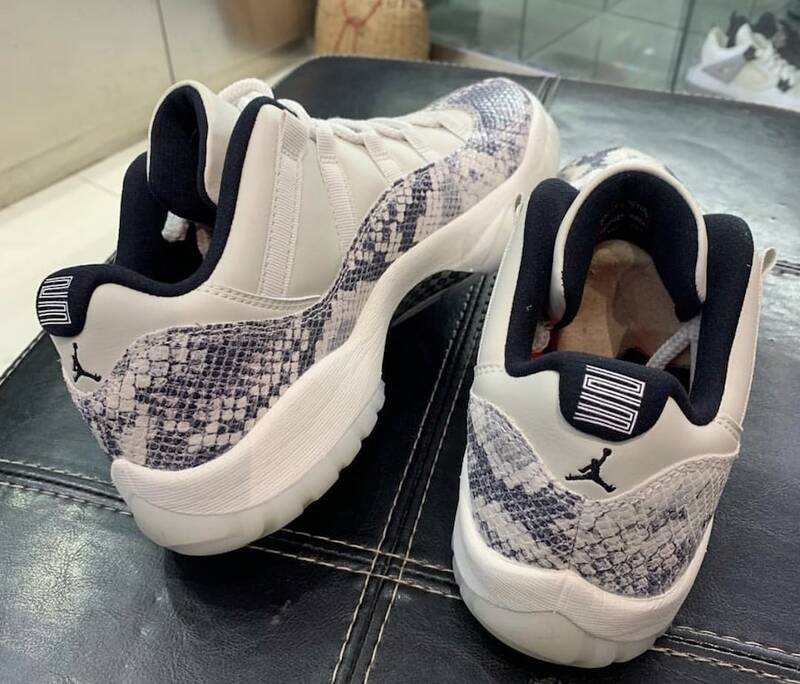 This month, we’ve received word that the Jordan 11 Low will return later this year in an exciting colorway. 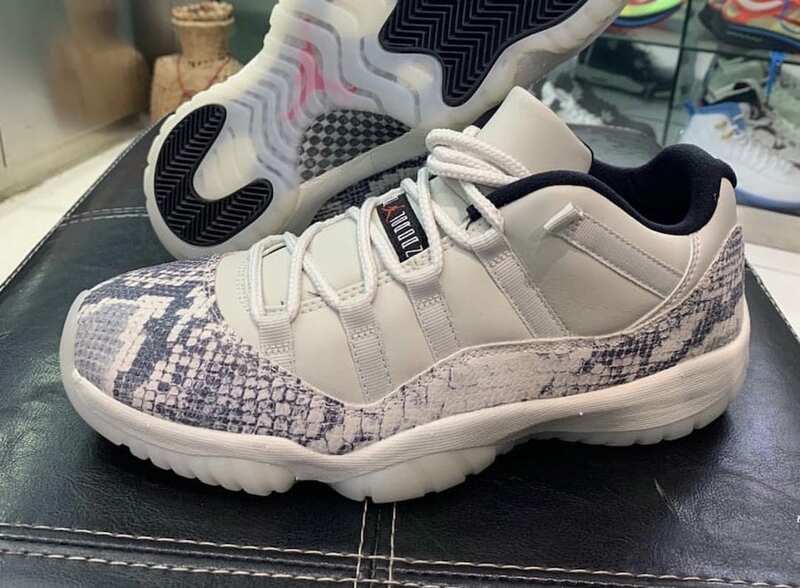 While similar versions of this look have released before, the Air Jordan 11 Low “Snakeskin” is a good looking new color scheme for the shoe. The base begins with a cream white leather, stitched with white lace loops. 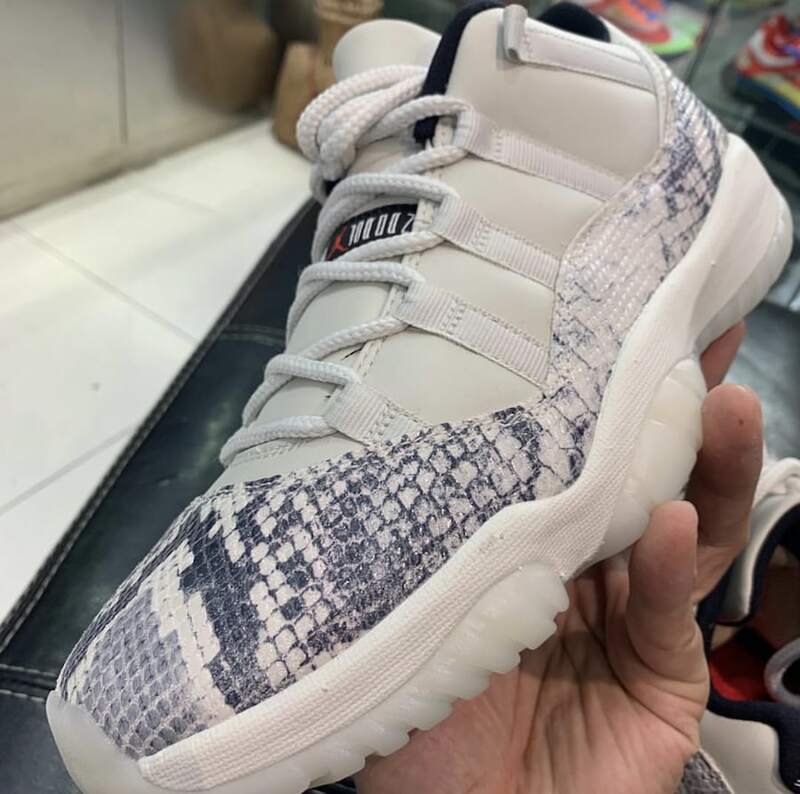 The patent leather layer circling the shoe has been replaced with snakeskin in shades of white, grey, and black, a stark departure from 2014’s green pair. Finally, the shoe is finished off with a white midsole a translucent white outsole. 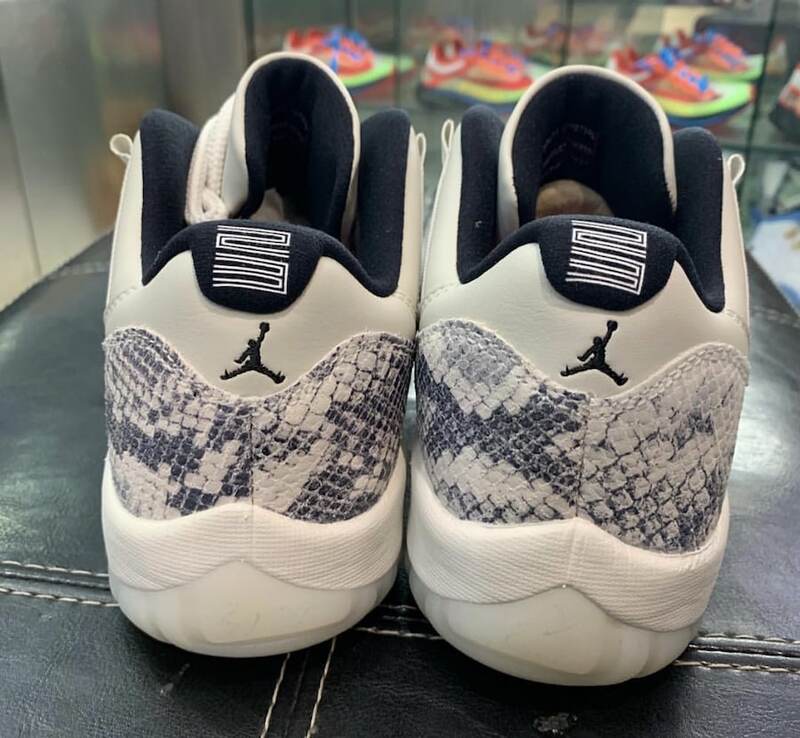 The latest Air Jordan 11 Low is rumored to release on June 1st, 2019. The premium Jordan 11 will release on Nike SNKRS as well as select Jordan Brand retailers for $185. Check out the early images below for a closer look, and stay tuned to JustFreshKicks for more Jordan release information.